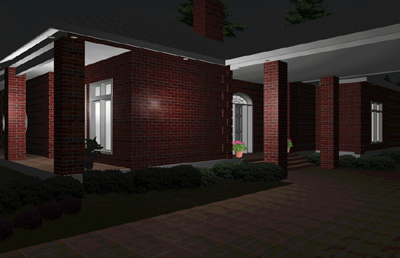 Each house is designed as a 3D model that can be viewed from any angle, inside or out. 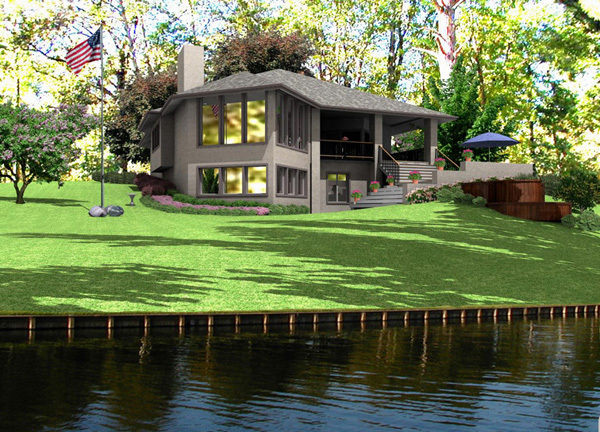 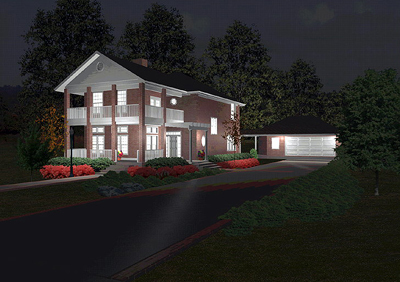 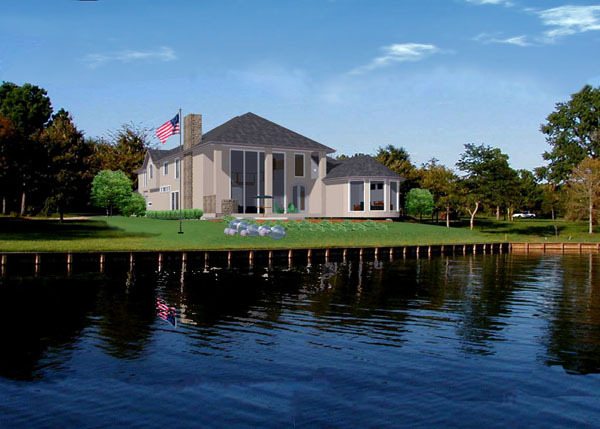 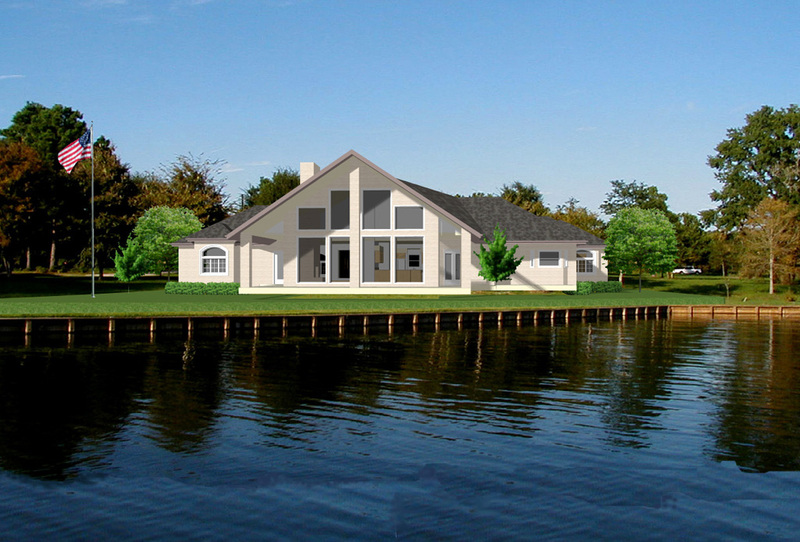 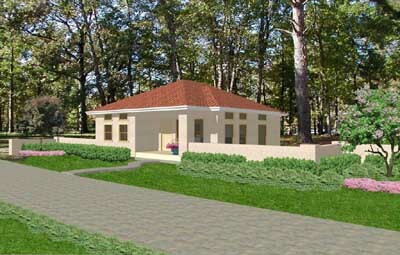 The Anderson House on the left is an example of placing a rendering of the house model into a photograph of the Anderson's lake front property. 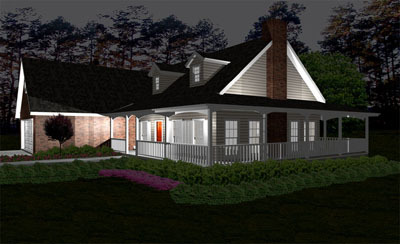 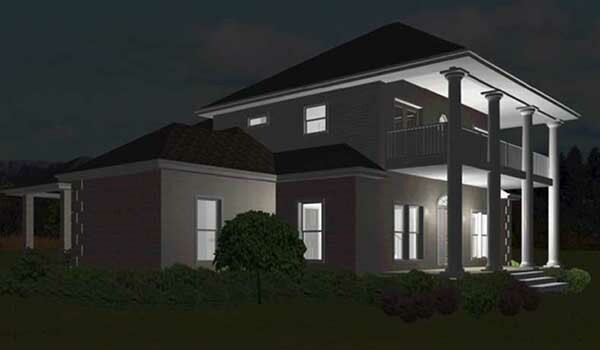 This allows the owner to see exactly what their new home will look like when finished.